MBS’s dramatic shift from darling to villain, even in his perception in Morocco, is perhaps contemporary politics’ most Shakespearean moment. 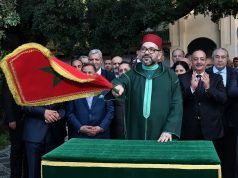 Rabat – Greeted with fervor and enthusiasm in the UAE and Egypt, decried in Morocco and Tunisia, and denounced in most of the world, Saudi Arabian Crown Prince Mohammed bin Salman’s abrupt fall from grace in Arab and global politics bears the marks of a curious tale of political miscalculations and an insatiable thirst for self-aggrandizement. Putting behind weeks of tense international outcry over the murder of Jamal Khashoggi, Saudi Arabia’s crown prince has since Thursday, November 22, embarked on a world tour. Featuring destinations such as the UAE, Egypt, Tunisia, Algeria, and Mauritania, the tour came as a prelude to the G20 summit scheduled this Friday in Argentina. Given the coincidence—perhaps calculated—critics have been quick to suggest a desire by the Saudi royal court to use visits in the region to prepare the increasingly isolated crown prince for the challenging reunion with global leaders. Moroccans are glad that the Saudi prince did not include Rabat in his ongoing tour. 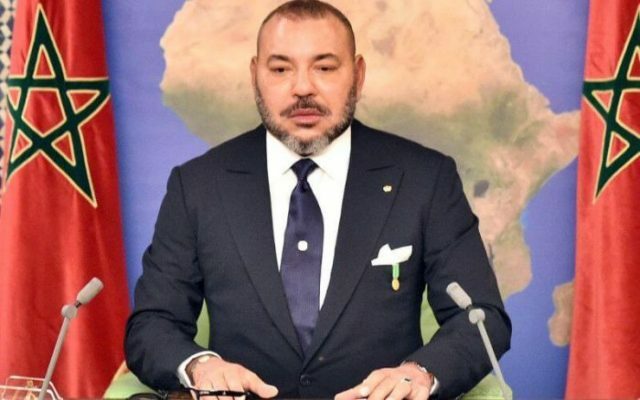 Relishing the fact that King Mohammed VI snubbed the Saudi prince’s request for a royal audience, Moroccan social media writhed in denunciation of MBS. Others, while visibly “happy” about the possibility of Morocco snubbing MBS and Saudi Arabia, were still doubtful, reluctant. They questioned the veracity of the news. While Moroccans did not take to the streets—perhaps they did not have to—like their Tunisian “brothers,” their anger and frustration at Saudi Arabia was unmistakable, palpable. That MBS did not come to Morocco was good riddance, they said en masse. The King’s move, they elaborated, was a “good” and sensible step. “He deserves global isolation,” one said on Facebook. The commenter added that Morocco and Moroccans have no intention of collaborating with the Saudis. 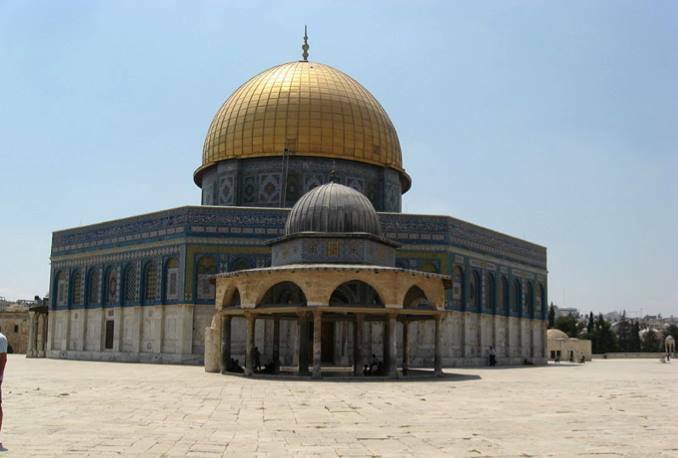 Bruce Riedel, a senior fellow at the Brookings Institution, told the Guardian that MBS’s tour was a deliberate affront to the international community. By daring to go on a first major diplomatic trip amid fresh global outcry over the Khashoggi case, MBS is brazenly telling the world that he is back in town, unaffected and in charge, Riedel explained. John Allerman of the Center for Strategic and International Studies agreed. “This is a bold effort to force the issue of whether world leaders are willing to work with Saudi Arabia, saying if you’re going to do that, you’re going to have to work with Mohammed bin Salman,” he told the British paper. All the same, MBS was warmly welcomed in Abu Dhabi and Cairo, his first two destinations. Abu Dhabi threw him a party—and pledged unconditional brotherly support. In Cairo, President al-Sisi assured the prince that Egypt will remain a loyal and reliable ally. After the UAE and Egypt’s fist bumps, however, the Saudi prince’s mood experienced a dramatic fall as many Tunisians protested his presence in their country. 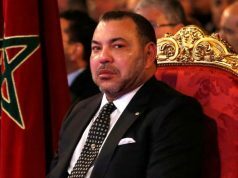 Prior to the prince’s visit on Tuesday, November 27, Tunisian activists and journalists wrote a damning petition to object to the princely trip. Pointing out the prince’s implication in Khashoggi’s death and his documented bleak record on human rights, they wrote that Tunisia was not ready to welcome a “murderer” and a “jailer” of human rights and feminist activists. But the boisterous protests and audacious petitioning deterred neither the Tunisian government from hosting their Saudi guest nor MBS himself from proceeding with his initial travel plans. Rallied at the iconic Habib Bourguiba Avenue in downtown Tunis, protesters raised their voice against “an appalling murderer.” Tunisians, in great numbers, took to social media to berate Saudi Arabia’s dubious reforms. “We are here to underline our dignity, our national sovereignty and to say we are not for sale,” a prominent activist was quoted by local outlets as saying. Just a few months ago, MBS came across as the Arab world’s torch bearer of progressive and democratic reforms. Praised for his youthful boldness and liberal-minded moves, MBS was, to many Western observers, the embodiment of 21st century Arab politics’ messianic figure. Portrayed as a “reformer” and a “moderate,” the young prince was granted the performative aura of the revolutionary that Saudi Arabia and the Muslim world needed—and had been waiting for. Editorials and opinion articles abounded to celebrate his reforms. Be it the Guardian, the Washington Post, the New York Times, or Le Monde, it is difficult to think of a major media outlet that did not bombard their audience with obsequious articles on the de facto Saudi leader. It did not matter that Saudi Arabia cracked down on dissidents or that prominent journalists sought safe haven outside the Saudi kingdom or that women were still denied the most basic rights. All that mattered, we were told, was that corruption was being crushed and cinema—apparently a marker of progress and political enlightenment—was coming back to Saudi Arabia after a 35-year ban. “The Saudi Revolution Begins,” the Economist headlined a June 2018 issue, jumping on the bandwagon of pro-MBS PR. “Mohammed bin Salman could transform the Arab and Islamic world for the better,” the British newspaper offered. As time went by, however, the prince’s reformist tempo tempered, leaving space for what the world had—perhaps deliberately—glossed over: Human rights abuses en masse and outright disdain for criticism. There was the utterly irrational feud with Canada. The powerful of the world watched but said nothing, emboldening MBS in his sweeping anti-criticism antics. After all, why speak about a dozen jailed activists, a sizable but apparently disposable number of exiled dissidents, and a diplomatic feud with a developed but minor geopolitical weight (Canada) when you can speak of the prince’s bold reforms? Then on October 2, what should not have happened happened. Saudi Arabia went too far, killing a well-connected Saudi citizen on foreign soil. What followed is perhaps the most dramatic scene in contemporary politics. “It was like a movie,” Turkey’s President Erdogan famously said of the Turkish intelligence-recorded tape of Jamal Khashoggi’s “heinous” murder. In a matter of weeks, as Saudi Arabia kept issuing shaky, shifting, and self-contradictory statements on Khashoggi’s disappearance, and later confessing to his murder, international air became suffocating for MBS. Turkey, of course, swiftly played its part in discrediting the powerful prince. In the eyes of many in the international community, gone was the moderate, balanced, reformist, and democracy-loving MBS. Once hailed and cherished, the Saudi now stood isolated and abandoned before Turkey’s incessant accusatory statements. He faced the melding voice of an irritated crowd shouting down a hated and hatable figure. “Mohammed bin Salman was never a reformer,” opined veteran Indian political commentator Dilip Hiro. All the hype about pro-women reforms and cinema and corruption-purging was merely a semblance of modernization meant to theatrically render a police state more palatable to the West, the Indian suggested. That has since been the dominant discourse about MBS as leaked evidence after leaked evidence linked him to the murder of Khashoggi. 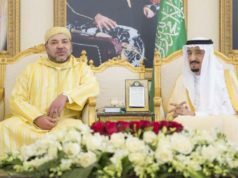 A shift or continuing trend in Rabat-Riyadh relations? In light of the Khashoggi murder, will the popular consensus on the need for Morocco to thoroughly revise its diplomatic stance with Riyadh succeed in convincing authorities in Rabat to initiate an unprecedented u-turn in how they relate to Saudi strategic interests? Although questioning King Mohammed VI’s move (declining to host MBS) carries some degree of legitimacy, especially given the somewhat purveyor-receiver dynamic between Saudi Arabia and Morocco, the recent incident is hardly the first time Rabat has stood up to Riyadh. 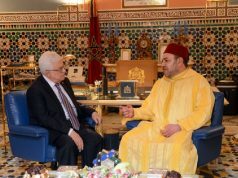 Morocco has boycotted the Gulf Cooperation Council; refused to join the Saudi-led blockade against Qatar; repeatedly, but again diplomatically, declined to host the Arab League summit; and boycotted said summit. Add that to recent developments, and the suggestion is that Rabat and Riyadh are progressively drifting apart. When, how, and to what extent will a rift occur beyond the current lukewarm and half-hearted commitment? Or is it all some kind of temporary quarrel that will settle itself when the current shifting sands beneath Saudis’ feet clear out in months or years? It would be unwarranted, short-sighted, and pretentious to claim to have clear-cut answers to these questions. But if there is a certainty to the situation, it is this: Whatever happens next, Jamal Khashoggi’s murder will be part of how things unfold. Saudi Arabia’s brazen and miscalculated moves in planning and diverting from the Khashoggi affair have proven a game changer in regional politics.